Even when I’m performing the most common and simple of tasks, sometimes I still manage to mess things up and get an error message I’ve never seen before. 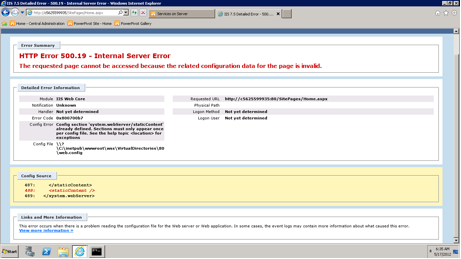 This time the error occurred after I installed Office Web Apps on my SharePoint Server 2010. 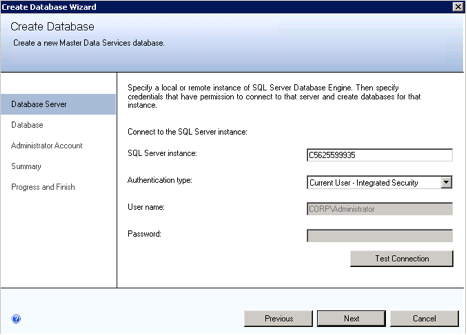 When the installation ended, I received a message saying I must run the SharePoint Products Wizard. So I did. I decided to check to see what was going on in my web.config file. I backed it up before making any changes. Then, I traced the” <staticContent /> “line and erased it from the web.config. Simple as that – the error message was gone and my sites started working again.